Five months ago, we announcedan early version of the Actions on Google developer platform for Google Home. Since then we’ve been focused on growing your audience, expanding the platform’s features and improving the developer experience overall. 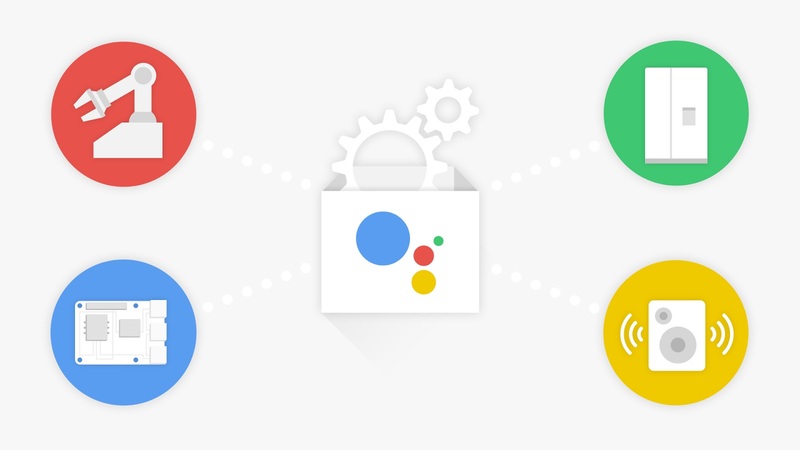 With today’s news, we’re excited to bring the platform to phones, introduce new features and functionality, improve our SDK and continue to work together to create great apps for Google Assistant users near and far! Since the platform launched in December, it’s been exciting to see creative and interesting apps come to life on Google Home, from working with FitStarto getting the latest news with CNBC. Today, we’re bringing Actions on Google to the Assistant on both Android phones and iPhones. With apps for the Assistant now available on phones, you’ll have the opportunity to grow your user base and build apps for entirely new use cases — things that weren’t suited to a voice-only interface, like shopping for clothes or ordering food from a lengthy menu. Moving to a screen also means users can easily get things done with their app through new UI elements like image carousels, lists, and suggestion chips. You can build and deploy apps for the Assistant on the phones starting today – here’s the documentation. We’ll also soon be launching Actions on Google in English in the UK and later this year French and German, and other languages. Our goal with the Assistant is to help you get things done – and that doesn’t just mean asking questions or listening to information. We also want to make it easy to complete purchases. But a transaction isn’t over when the user pays, it includes things like tracking an order, modifying or reordering. That’s why the Assistant now allows users to see all their transactions in a single history view. And we also built an order-updates feature to make it easier to re-engage. With it you can send status updates like when a car arrives to pick them up, when their food is delivered, or their prescription is ready. You can start building and testing transactional apps today, and they’ll be available to Google Assistant users on phones soon. We’re invested in offering a great developer experience, so today we’re also launching a new developer console. This console helps you work as a team, and collect data on your app’s usage, performance and user discovery patterns. It’s integrated with the Firebase and Google Cloud consoles, so that you share data within your apps. Additionally, we’re rolling out a new app directory. Users can access it with a single tap from the Google Assistant and it has both categories and user ratings. Each app’s directory page is also shareable on the web so that you can promote your app for new and existing users and they can share it with their friends. 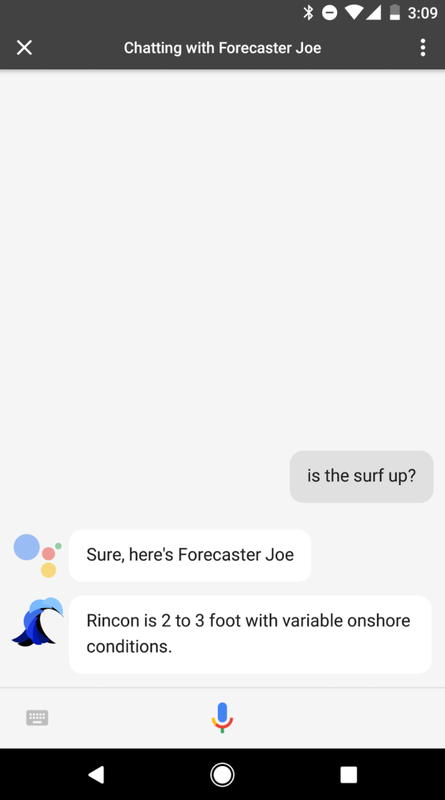 With this update, they can also create a shortcut to your app, so instead of saying “Ok Google, ask Forecaster Joe what’s the surf report for the Outer Banks”, a user can just say their personal shortcut, like “Ok Google, is the surf up?” to easily re-engage with your app. While we’re confident these features will help improve discoverability, our work is not done! We’ll continue to add new features and improve the discoverability of your apps over time. Last month we introduceda preview of the Google Assistant SDK. Today, we’re continuing to make it better by adding a number of new features. With hotword support, developers can now build devices that are triggered by “Ok Google” rather than a button or some other physical action. We’re also adding the ability to have both timers and alarms. So a user can now say “Ok Google, set a timer for 60 seconds” on any device with the Google Assistant built-in. While we are still in the early days of the SDK and the platform, we’re continuing to work on creating a more comprehensive developer experience. We’re also looking to bring the platform to new devices, including those powered by the Google Assistant SDK. Last but not least, we’re also launching the first developer competition for Actions on Google. As part of this competition, there will be more than 20 prizes for the best apps for the Google Assistant! So start building – we can’t wait to see what you come up with. We’re excited for the road ahead and look forward to working with you to develop new apps for the Google Assistant.